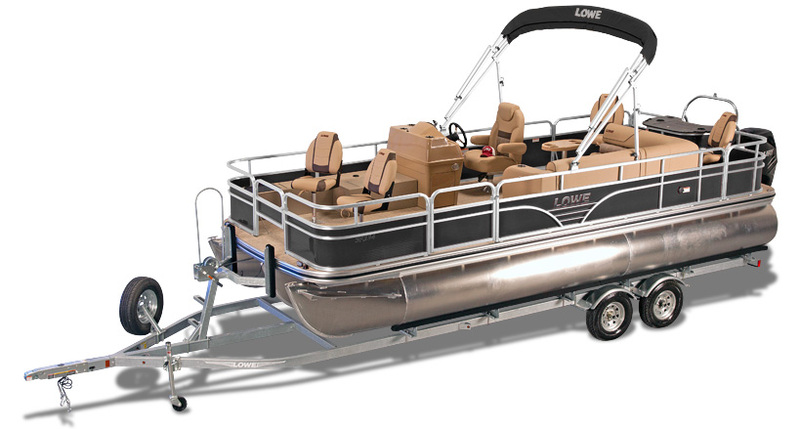 If you are looking for the perfect combo of pontoon fishing and cruising features in an affordable package, then the SF series Lowe pontoons were designed just for you. 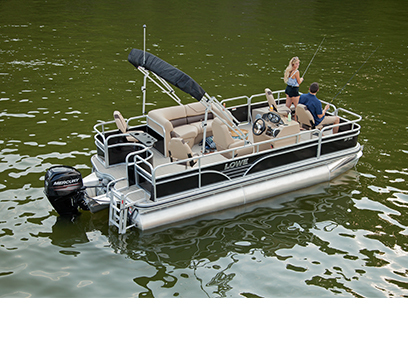 Lowe designed every detail of the SF models with the avid angler in mind. 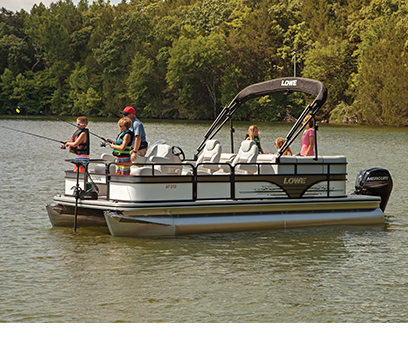 These fully equipped angling pontoons include 8’6” wide decks for increased fishability. 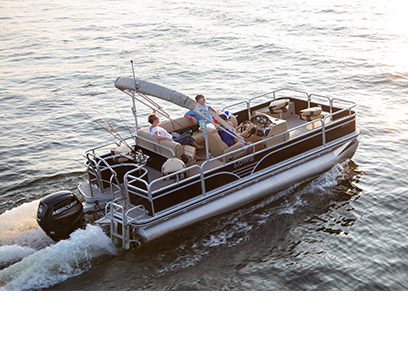 Four pedestal fishing seats, a bow aerated livewell and three stern rod holders on the SF234, 214 and 194 models provide all the tools for a trophy catch. 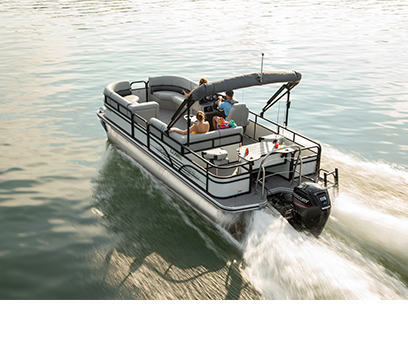 The SF232, SF212, and all-new SF212W walk thru features an arsenal of creature comforts and watersports-friendly functionality to create maximum relaxation on the water. For the true adventurer, there is no other choice. Lowe SF234, SF232, SF214, SF212, SF212W and SF194 models come standard with large, aerated livewells. 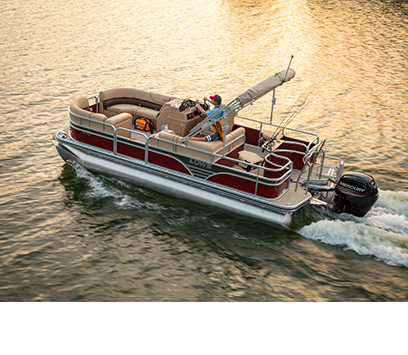 Generously-sized rod storage is also standard on both the SF234 and SF214 models. 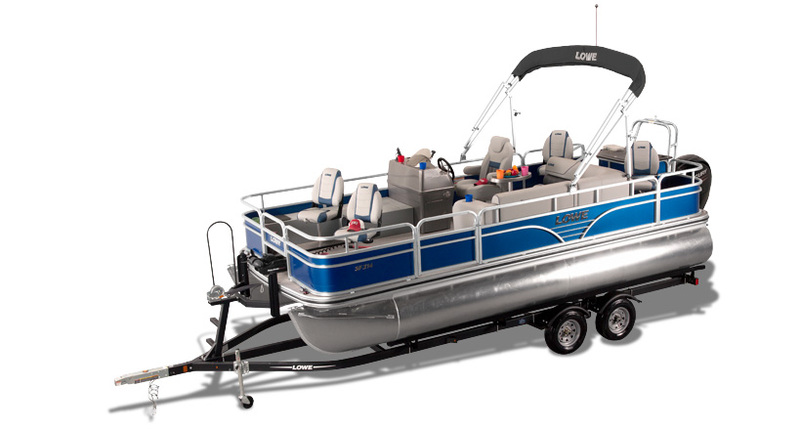 The SF212W features a standing rod holder that houses up to 4 rods. 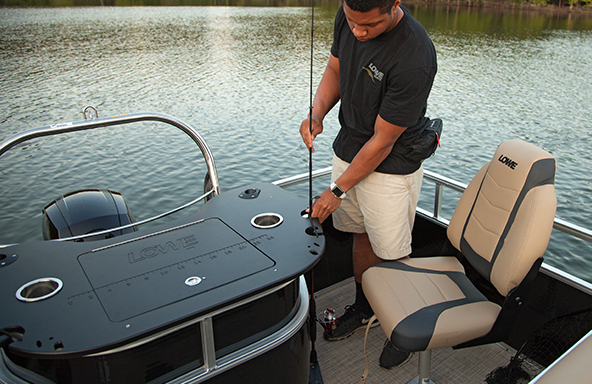 Serious anglers can take care of their catches with the optional fishing station with a livewell and vertical rod holders. 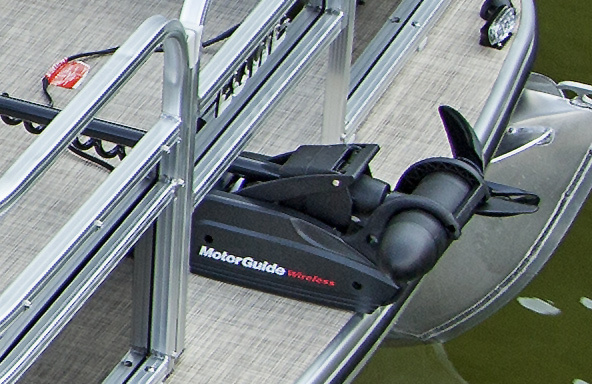 Optional MotorGuide X3 (45#) or Minn Kota PD55 (55#) 12v trolling motors are designed to deliver better fishing performance and added reliability with the best value in their thrust ranges. 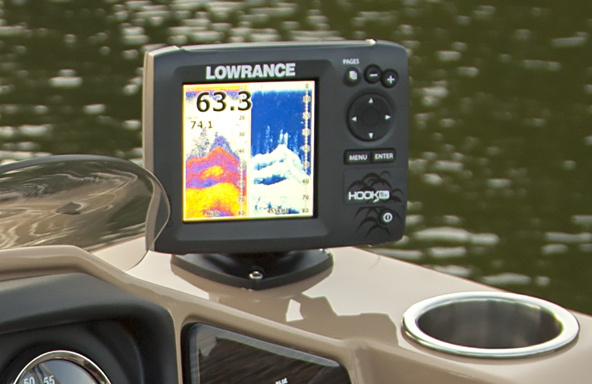 Complete your Lowe SF Series pontoon fishing package with a Lowrance fishfinder, and enjoy the clear advantages of working off the wide deck of a pontoon over other ordinary fishing craft. 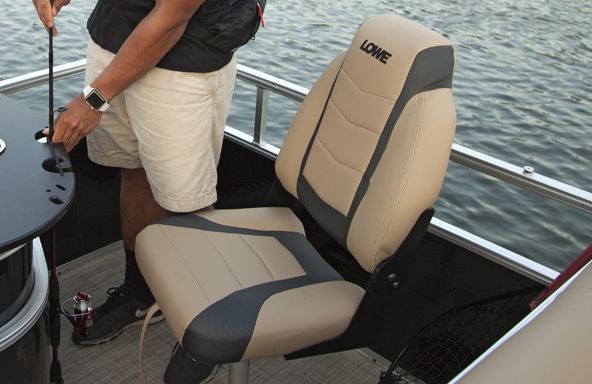 Extend your fishing day with pro-style pedestal fishing seats with high-compression foam padding. 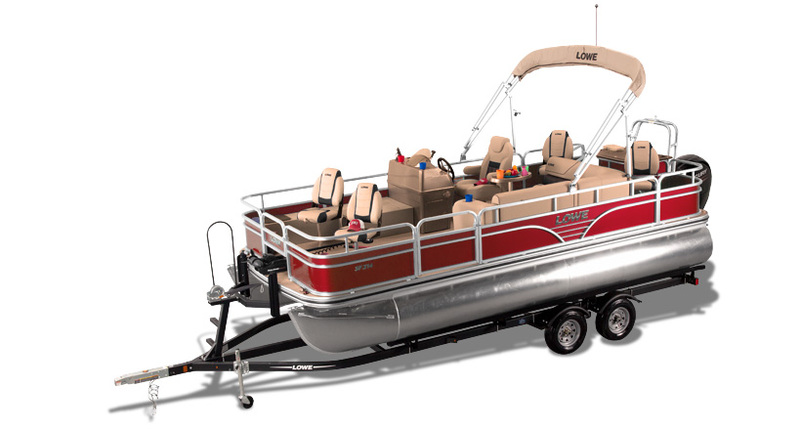 Features include a heavy-duty molded frame and moisture barrier design. 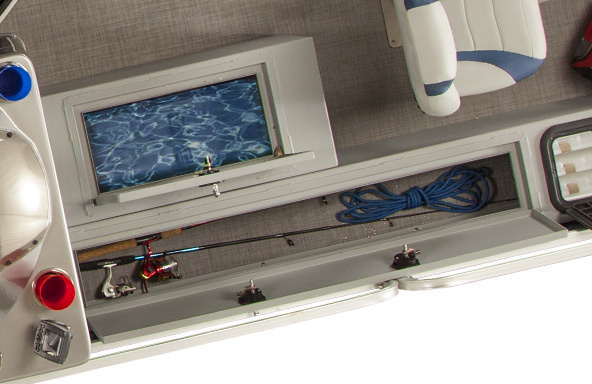 Take advantage of extra space with the flush mount tackle box. Holds 3 storage boxes to store your most used items like hooks, swivels, lures, and pliers. Get to your favorite hot spot before the competition! 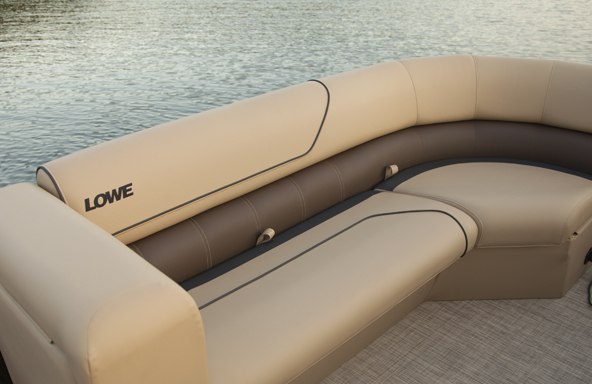 Lowe has power options that gets you there like no other. 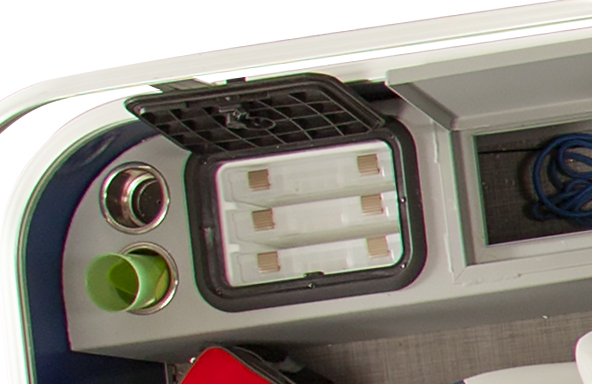 Maybe it’s the lightning-quick acceleration. The legendary reliability. 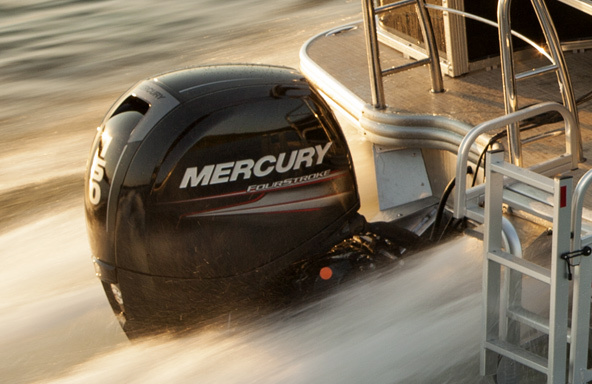 The superior fuel efficiency. Or all of the above. 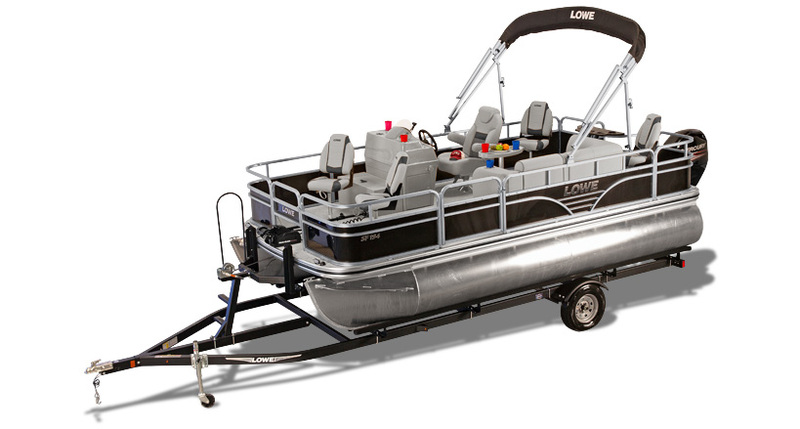 Lowe SF pontoons are fitted with a helm station featuring a chrome accent steering wheel, a fiberglass reinforced console, 4:1 anti feedback steering, an empowering grip. 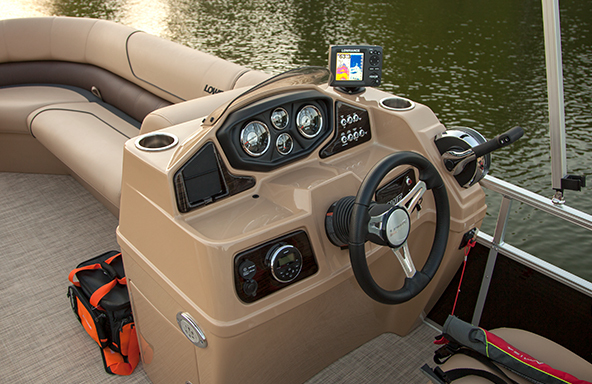 The Captain's chair was designed for lasting looks and comfort. 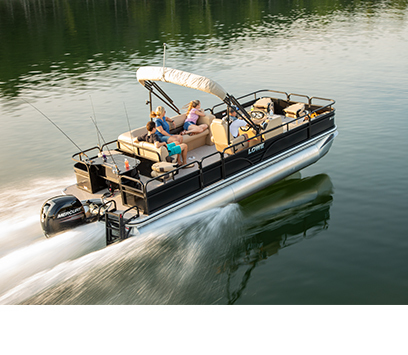 With over 45 years of boat building expertise, we know what it takes to construct durable and comfortable marine-grade furniture that works for all-day fishing or comfortable cruising. We utilize some of the best materials and practices in the industry, because the last thing we want is for you to worry about replacing rotted wood structures or furniture that doesn't keep its' shape.